The Bead Roller is a handy tool that provides extra strength by adding ridges to your sheet metal. 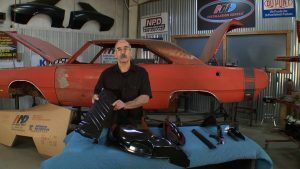 Mark Oja and Cam Benty demonstrate how to use a Bead Roller on your classic car to add a little extra flair and strength to any metal you have. Have you ever wondered the best way to paint your car? Follow along as Aaron Hopkins explains each step of preparing the surface of your car and introduces each product to use. Use these helpful tips when at this step in your restoration and learn how to paint a car efficiently. 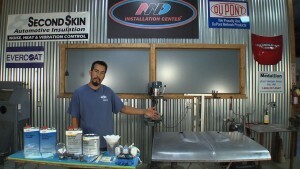 Here is a great technical tips segment for those doing bodywork and getting ready for paint. Learn how to load and adjust sanding blocks and more. 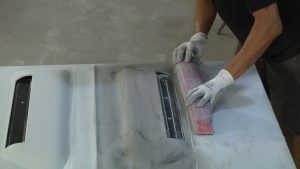 Watch as Aaron Hopkins demonstrates block sanding techniques that allow you to get your car as smooth as glass! Classic car detailing has never been easier! Brent Ackley and George Vondriska teach you how to clean the engine compartment on a 1956 Chevy 210. After a reasonable power wash, scuff sand, prime and paint, the engine compartment on your classic car should look ready for the showroom. Craig Hopkins discusses how to decide which parts on your car really need to be replaced. You will see classic car parts such as a trunk drop off, outer wheel house, door jam, trunk gutter set, and bumper brace. 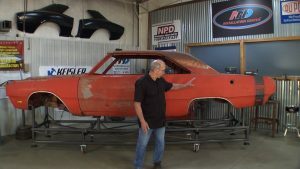 Watch as Craig Hopkins and son Aaron install the car dash on their Chevelle. They also work on building the firewall from the inside out. Taking your time and working together is important so that everything fits correctly. Learn tips as they assemble the firewall complete with heater box and more. 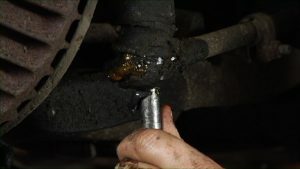 Craig Hopkins emphasizes the importance of supporting a classic car under its suspension pick up points to make sure it is stable before beginning your classic car restoration. He recommends only doing one panel at a time, and then teaches you how to align the door and replace a hinge.